But regardless of any definition ascribe to computer, a computer can be said to be a machine made up of electronic parts that is driven/controlled by a sequence of pre-stored instruction called computer programs/software, and which have the capacity to accept data in a prescribe form, process the inputted data, supply the result of the processed inputted and also store the processed result in a specific format for future references. Do you understand this definition? If not continue reading to get the explanation. A computer is a machine. This is because it does assists in the performance of human tasks. In machinery, computer fails into electronic category, because a computer is made up of electronic parts. These parts are usually referred to as hardware. 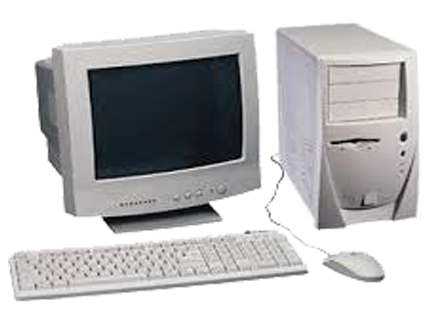 This computer components (hardware) are controlled by a stored computer program (software). This means that the functionality of computer hardware are not mechanical, but rather it is based on the type of software which are installed in the computer. These software enables the computer to accept data/commands from computer users in a prescribe form, process the data and supply the result of the data processed to the computer user in a way the computer user will understand and then store/save the result so that the user can make reference to it later. The file format at which a document is saved in a computer, is determined by the software the user is using. A noteworthy thing about a computer is that, it also has the ability to instruct itself. Remember, earlier we were made to understand that what can be done using a computer are based on the pre-installed computer program/software, but the amazing thing is that, those software are developed using a computer.